For the next two months I will be working on the Fandom 5 Friday prompts, hosted by Super Space Chick and The Nerdy Girlie. Let's get on with the show! My obsession with tea is still pretty new. Not even a year old. It all started when a friend of mine brought over some earl grey bravo from Adagio Teas. I had never had loose leaf tea before. Until then I used the cheap off brand tea bags. Boy, was I surprised how obsessed I was going to get! 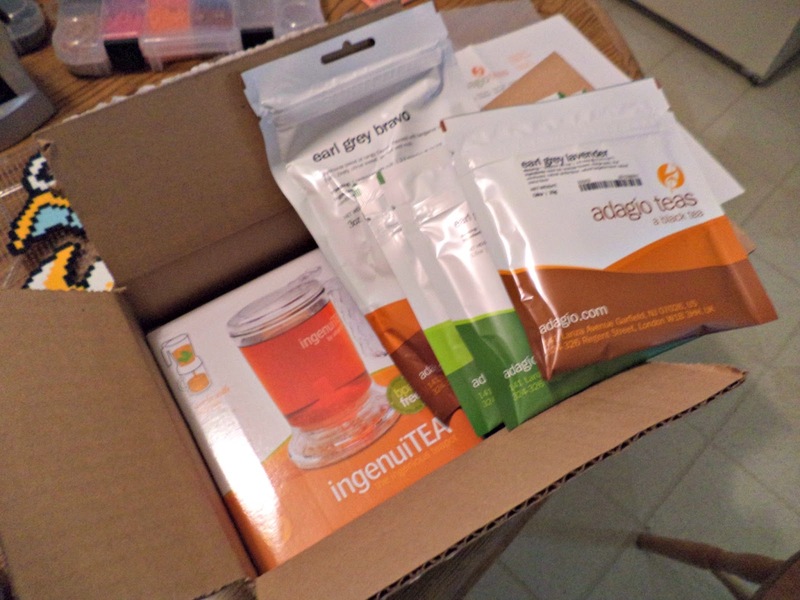 I was gifted a box full of tea samples and the IngenuiTEA. Best Christmas gift ever! Along with the IngenuiTEA, I received earl grey bravo and samples of: earl grey lavender, earl grey green and sleeping dragon. I joined the tea of the month club last year. As of this writing I have two more months left as September and October's tea already came. I'm so glad I joined last year. I was able to switch back and forth between the types of tea. I'm not sure if we're able to do that now since there are price differences. I highly recommend the tea of the month club! What teas were the gateway to your tea loves?